This past weekend, one of the mainstays of Super Smash Bros. tournaments, Genesis, took place in Oakland, California. It was the 6th iteration of Genesis, with the first dating all the way back to 2009 when it was merely Brawl and Melee. 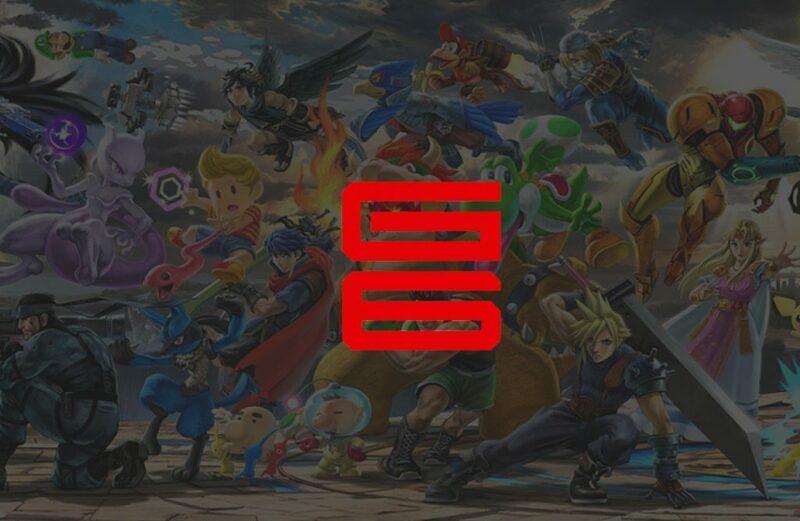 Genesis has always been highly regarded as one of the most important Smash tournaments entering the New Year (besides G1 and G2), as it sets the tone for the year of Smash. Players look to erase their failures and shortcomings of the previous year and make a splash in the Smash scene. For example, Panda Global’s Plup won G5 in Melee last year in a rousing defeat of the #1 player, Liquid’s Hungrybox. 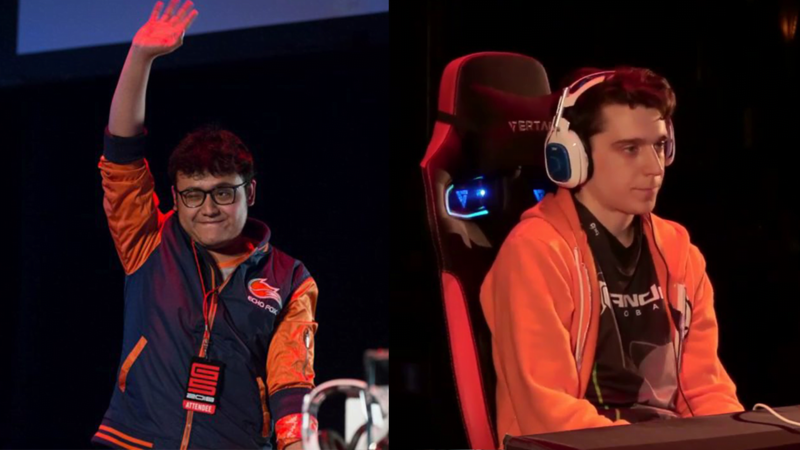 Melee has always had an established “Five Gods” with a few being fringe contenders, Plup being one on the outside looking in. His defeat of Hbox started a big year for Plup that would end up being his best year of Melee to date. In Smash for Wii U, MKLeo ran the table and went from promising prodigy to arguably the best player in the world with G5 being his second Genesis win in a row. G5 was arguably the best Smash tournament at the time. Genesis 5 Winners EchoFox MKLeo (left) and Panda Global Plup (right). Credit to Genesis and Thomas Tischio. G6 was held during Super Bowl weekend, which caused minor concern about viewership numbers from the community. The young, upstart Los Angeles Rams were set to try to dethrone Tom Brady and the New England Patriots, who had been to nine Super Bowls in 18 years. It was the makings of a low viewership G6 weekend written all over it. The excitement for Smash was partly due to the newest iteration, Smash Ultimate, having its very first super major…but that doesn’t tell the whole story. The viewership peaked during Melee, a 17-year old game that has been the most consistent and popular Smash game in history. Even the lesser known competitive Smash64 was in the 100k range of viewership. Mobile Screenshot of peak Genesis 6 numbers for Super Smash Bros. Melee. Credit to Reddit user u/sunandmoon1234. To add even more numbers to the already impressive stats, Smash community figurehead, Arian Fathieh aka TheCrimsonBlur, shared a bittersweet statistics tweet on February 6th. It is amazing that the grassroots origins of Smash has turned into one of the five most watched esports games behind games that have had overwhelming popularity for several years. However, it is disappointing that something so beloved is met with such little love and attention by its own creator, Nintendo. Nintendo looked to be changing its old ways with the implementation of a real training mode and faster, more viewer friendly game mechanics in Ultimate. Character and game tips that were included even made reference to competitive terms such as landing lag and super armor while also providing decent patch notes for patch 2.0.0 after previously providing none. It seemed Nintendo was embracing the competitive aspect of Smash just as much as the casual aspect. Yet, Nintendo continues to remain silent on its stance of fully sponsoring tournaments or circuits. With Nintendo’s official stamp of approval, prize pools would be able to increase dramatically in size and even networks like FOX and ESPN might be willing to fully broadcast the tournaments in all their glory, as Overwatch has been able to secure recently. Not only would players, figureheads, and commentators finally benefit from their hard work, but Nintendo would be able to easily make boat loads of cash from the national attention Smash would garner. It’s an easy win-win situation. It is perplexing that Nintendo continues to hold tight to the spirit of Smash being a casual party game, yet was fully on board with Splatoon 2 and ARMS being Esports friendly. Nintendo’s business decisions have had a history of making others scratch their heads, such as the short sales window for the NES Classic, the bizarre and repetitive nature of its Virtual Console, and the lack of cloud saves for the Switch for nearly two years to name a few. 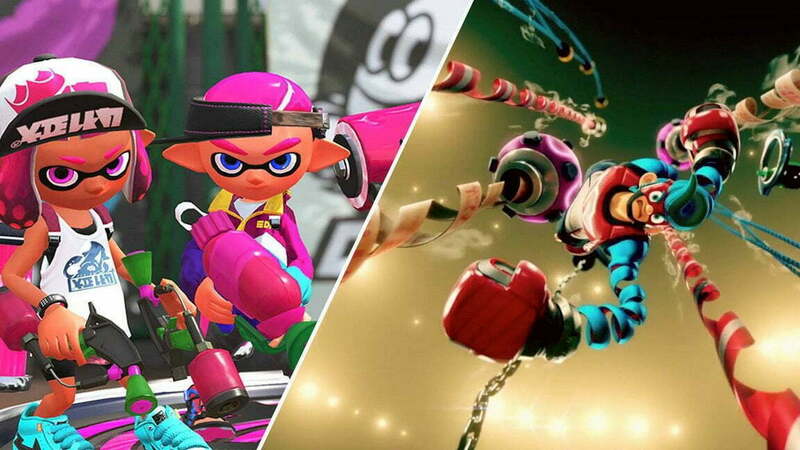 Splatoon 2 (left) and ARMS (right). Credit to Nintendo. In a world of microtransactions and paid DLC where game companies will use less-than-popular tactics to make a profit, it is normally honorable for a company like Nintendo to not give in to what the cool kids are doing. Instead, Nintendo decides to stand firm on something that all parties are losing out on. There is a gold mine with people who are practically begging for Nintendo to start digging into, and yet they refuse. Sakurai has stated in the past that he wants Smash to not be so focused on the technical and top-level side of things and wants players just to focus on “playing the game.” Doolan, Liam (2018 July 8) Masahiro Sakurai Isn’t Concerned About Competitive Aspect of Super Smash Bros.
Masahiro compares Smash to games like Street Fighter, where it’s a lot harder to pick up and play whereas Smash has simpler inputs for easier integration. As inclusive and thoughtful as it is, it’s hard to believe that you can’t have it both ways. Plenty of fighting games are played by people who just mash buttons and have a good time, while others focus solely on actual commands and combos. If Sakurai was okay with his vision being skewed just a tinge for the sake of his entire audience, no one would be turned off or intimidated by the rising popularity of competitive Smash as it has been family friendly for almost two decades. At this point, Smash has done more than enough to prove itself worthy to be fully sponsored by Nintendo. It feels as a community, fans, and players of the game that they have come so far, yet still face a gap that they cannot cross without the help from those with far more influence that ourselves.